Get your family crafting this holiday season. Everyone will love seeing your children's handmade ornaments under the Christmas tree. These projects are sure to keep everyone busy until Santa arrives. This angelic craft is sure to delight your child when he rings the bell. This creative Christmas-tree decoration allows you to recycle old lightbulbs. Three simple no-knit techniques are all it takes for you and your kids to create these sweet yarn crafts-perfect to give, and even better to receive. 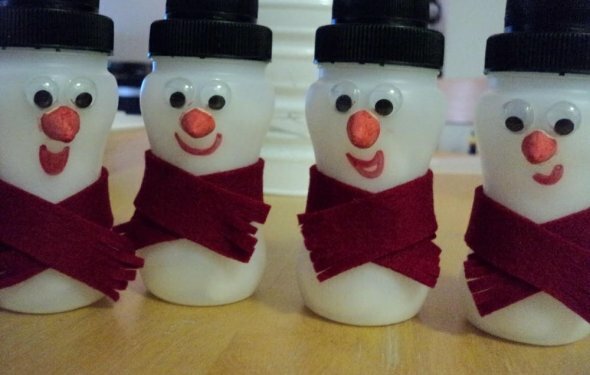 These too cool crafts are a fun and easy way for kids to create their own winter wonderland. Watch these videos to learn how to make them with your child. Make this cute snowman ornament with recycled items you already have.